I’ve established that I used to be in a potato rut. No longer, I am happy to report, and this recipe proves it. 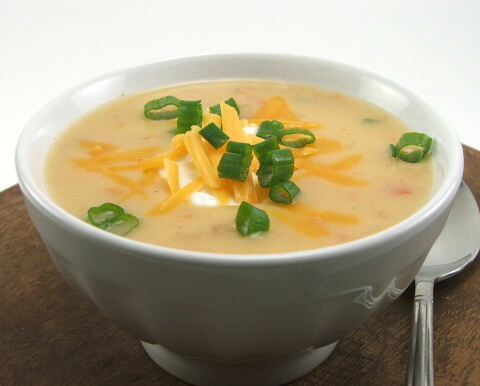 Potato soup is something I love to eat but never really make. The last recipe I tried made a large pot of what can best be described as wall paper paste. 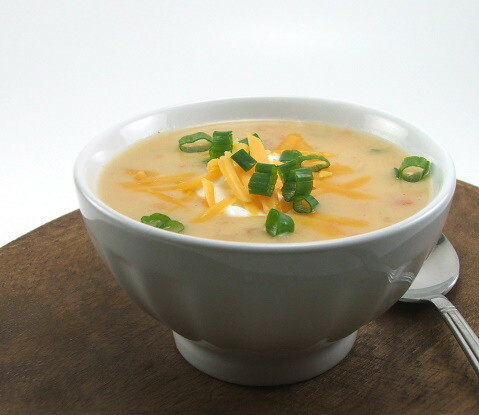 So, when I was looking at some extra potatoes that I needed to use, I decided to make some potato soup that would actually be creamy, velvety, and a delight to eat. 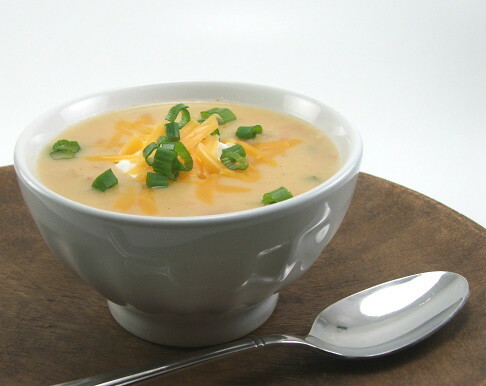 Now, if we are going to make potato soup why not go all the way with it? 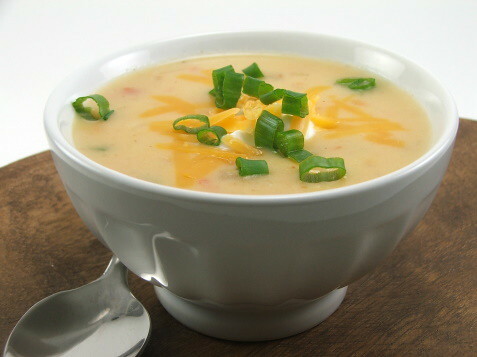 I added some sharp cheddar cheese for tang, some diced jalapeno for spice, some Ro*Tel tomatoes for flavor, and some bacon. Bacon doesn’t need a reason. 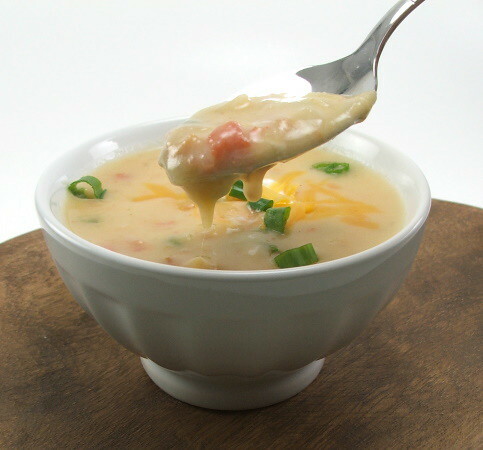 I did some reading about how to make a good pot of potato soup and I learned that cooking the potatoes before adding them to the thickened milk would make the soup creamy with out getting mushy. I par cooked my potatoes in the chicken stock I used in the soup. The starch in the cooking liquid was saved and it made the soup exactly the texture I wanted. 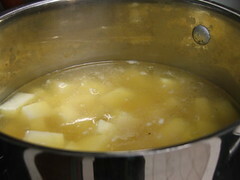 In a medium pot add the chicken stock and diced potatoes and bring to a boil over high heat. Cook for eight to ten minutes, or until the potatoes are tender. Turn off the heat but leave the potatoes in the broth to cool slightly. 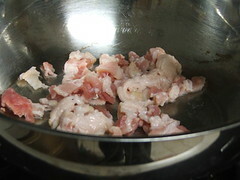 In a large pot over medium heat cook the chopped bacon until crisp. 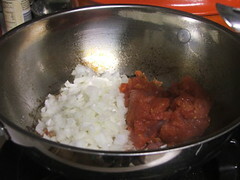 Add the onion and Ro*Tel tomatoes and cook until the onions begin to soften and become translucent. 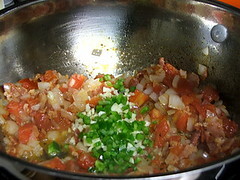 Add the jalapeno, garlic, cumin, and coriander. Cook until fragrant, about a minute. 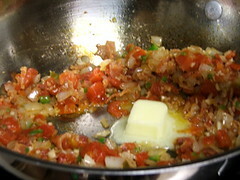 Add the butter and allow it to melt then add the flour. Cook for three minutes then whisk in the milk slowly. Season with salt and pepper. 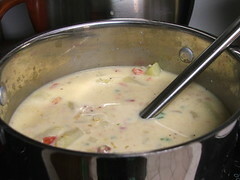 Cook until the milk comes to a simmer and begins to thicken. 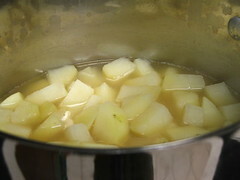 Add the potatoes and broth and bring to a boil, stirring often. 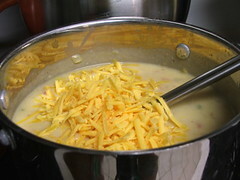 Once thick turn off the heat and stir in the cheddar cheese.